Commerce and industry minister Suresh Prabhu will meet the banking and financial services secretaries next week to resolve the huge decline in bank credit to exporters. There has been a huge decline in bank credit to exporters off late after the Reserve Bank last March banned banks from issuing letters of undertaking to exporters following the Nirav Modi scam, which saw state-run PNB being defrauded to the tune of around Rs 14,000 crore. "We've seen a huge dip in bank credit to exporters. And to resolve that, we have got a meeting fixed next week itself. We've called the banking secretary, financial services secretary and everybody else to come, and we are going to ensure that it happens," he told exporters. He also said the issue regarding GST credit/refunds that exporters have been facing is also addressed "to some extent," after his ministry raised it with the finance ministry recently. On the government's recent decision to provide 3 per cent interest subsidy to merchant exporters, he said this will, in turn, promote small-scale industries as such exporters mainly buy from small companies and export them. "As much as 30 per cent of export come from merchant exports. I have been calling for promoting merchant exports from the day one of coming to the ministry. 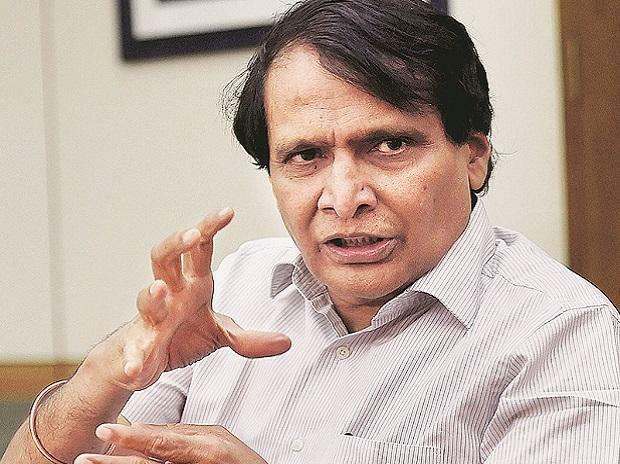 Because they are the ones who necessarily do not manufacture themselves but buy from others," said Prabhu, who inaugurated the Ahmedabad office of the Federation of Indian Export Organisations. "Merchant exporters buy from small companies and export under their own brand.If we promote merchant exporters, we are actually promoting small-scale industries," he said. Prabhu, who also handles the aviation ministry, also expressed the hope to get Cabinet approval soon for the new industrial policy finalised by his ministry recently. "We have already finalised the new industrial policy and we hope to get it approved by the Cabinet at the earliest. The implementation plan is also ready," Prabhu said, adding. the new industrial policy will help the country realize the goal of becoming a USD 5-trillion economy. About the services sector, he said an action plan has been created for "12 champion sectors of services," and Rs 5,000-crore have been set aside for the same. Speaking about the agricultural export policy, which was recently approved by the Cabinet, Prabhu said it will help take agricultural exports to USD 100 billion in two years from USD 30 billion now. He attributed recent slowdown in exports to "global slowdown," and said plans are ready to ensure that the country grows even if the global economy slows down. The minister also shared his ministry's programme to ensure each district grows by 3-4 per cent more. "If our desire is to grow in double-digits, it cannot come unless every district contributes to it.